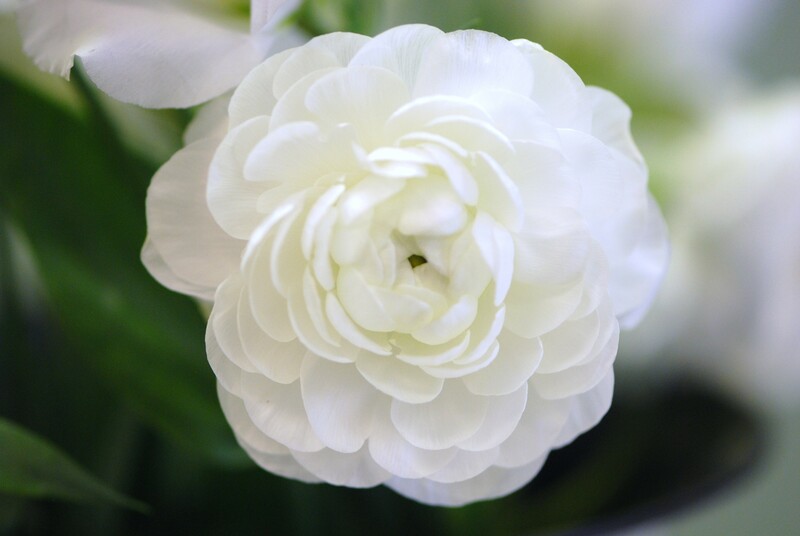 Ranunculus almost looks like a peony. Crepe paper like petals and several options of color. I’ve pictured the “Elegance White” from Holland.